Diese kleine Tarantella mit dem Titel Romilde von E. Nicolas wurde offensichtlich in Lyon gedruckt. Ich habe keine Informationen zu E. Nicolas und zum Jahr der Veröffentlichung gefunden. 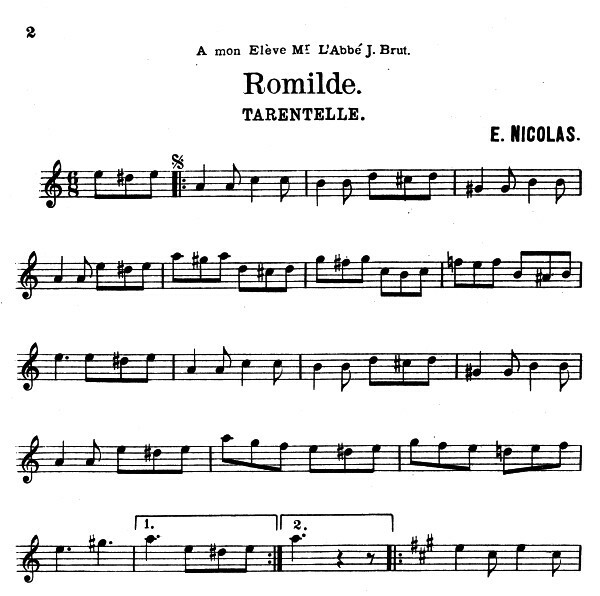 This tarantelle by E. Nicolas is the only composition that I have found by this composer. 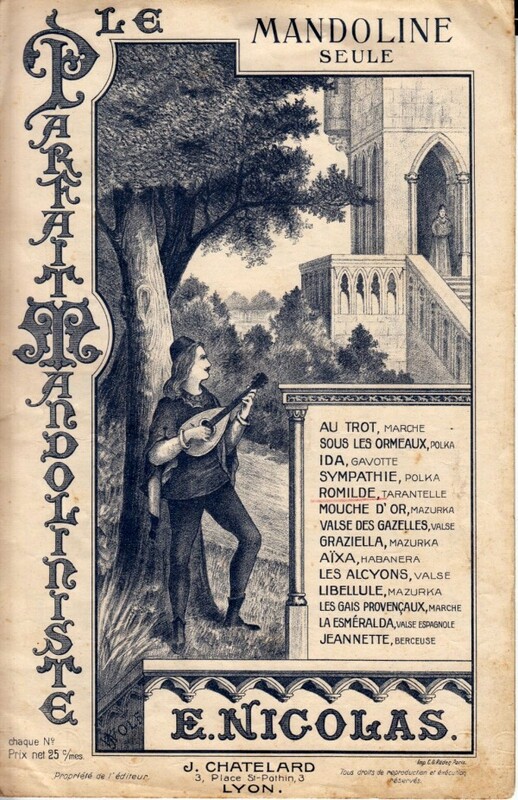 It has been published in Lyon in France, probably during the first decades of the 20th century.